Scrumpy & Western website. Made In Somerset from cider! Justin Lee Collins profile page. Who Is Justin Lee Collins? Justin Lee Collins - aka JLC - was born on 28 July 1974 in Bristol - where he still lives today with his wife and two children Archie and Harvey. His strong Bristolian accent - together with a lionine hairstyle (which he claims was inspired by Chewbacca from Star Wars) - has made him one of the more recognisable of the modern media personalities. JLC left school in 1990 with no formal qualifications before getting a job as a warehouseman in Marks & Spencer. Having been less than successful in the retail sector, he went back to college and emerged with a BTEC in performing arts. This led into a brief but successful career as a stand-up comedian - he won the New Comedy Competition at the 1997 Glastonbury Festival and reached the finals of the BBC New Comedy Awards at the Edinburgh Festival. He gave up doing stand-up in 2002 to concentrate fully on TV and radio presenting; and claims he will never return to the stand-up circuit! In 2002, JLC made a number of shows for Bravo and MTV before but hosting the companion show for the first series of Strictly Come Dancing. He was replaced by Claudia Winkleman the following year when the show moved from BBC3 to BBC2, but he had done enough to reach the public psychie. He presented The Games: Live At Trackside the companion show to Channel 4's sports-based reality programme The Games; and was also one of the presenters of Channel 4's Flipside TV. 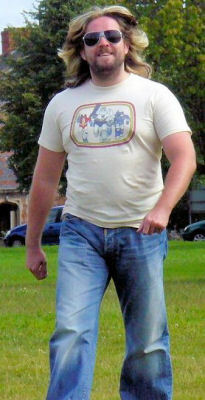 He also began hosting a radio show on XFM in 2003. He moved on to present The Sunday Night Project alongside Alan Carr for Channel 4, and also hosted a number of Bring Back... shows, and made a series for Channel 4 entitled The Convention Crasher where he learned skills such as clowning and ventriloquism in an attempt to win prizes at professional conventions. 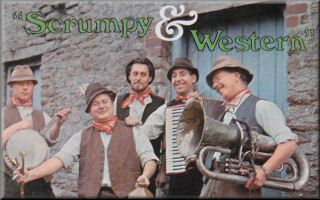 On 7 May 2007, he was a guest presenter on The New Paul O'Grady Show on Channel 4 whilst O'Grady took a break - having The Wurzels as special guests on one of the shows! 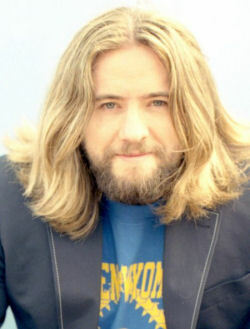 In 2009 Collins became the voice-over host of the Sky home videos show Oops TV; and fulfilled a 'life ambition' by hosting his own chat show The Justin Lee Collins Show for ITV. JLC (like Fred Wedlock and The Wurzels) is a huge Bristol City fan. He is also the patron of the charity Bristol Kids, run by Heart Bristol FM.